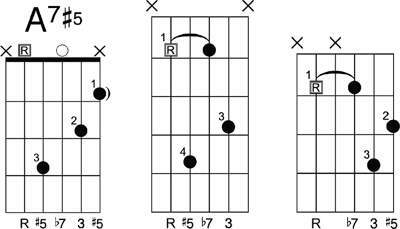 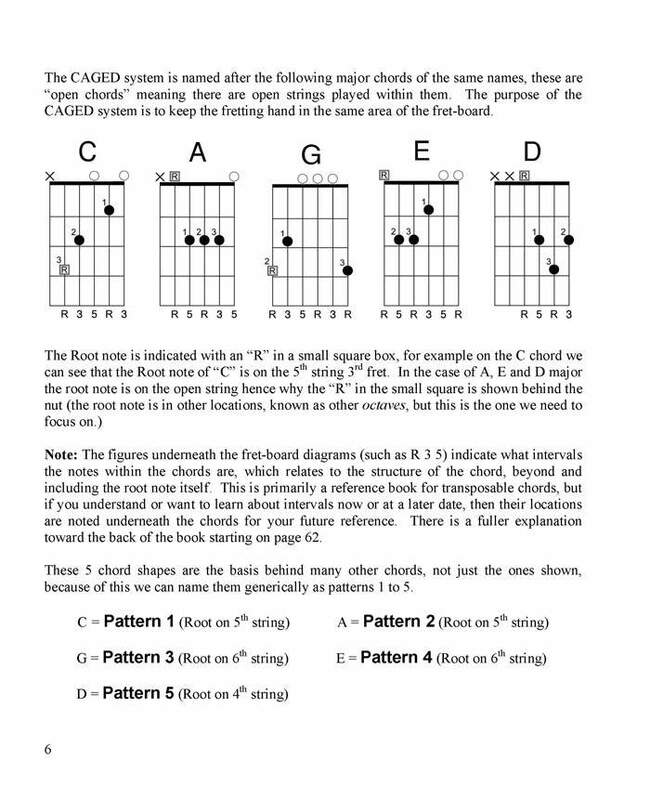 A guitar chord book of movable chord shapes based on the CAGED system. 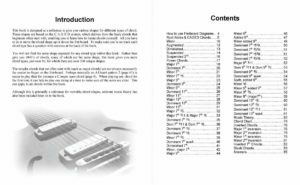 A reference of over 200 unique shapes for just over 60 different chord types. 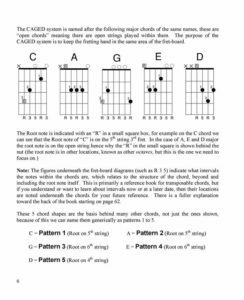 Understanding CAGED chords allows you to position chord shapes yourself rather than having to refer to chord diagrams. 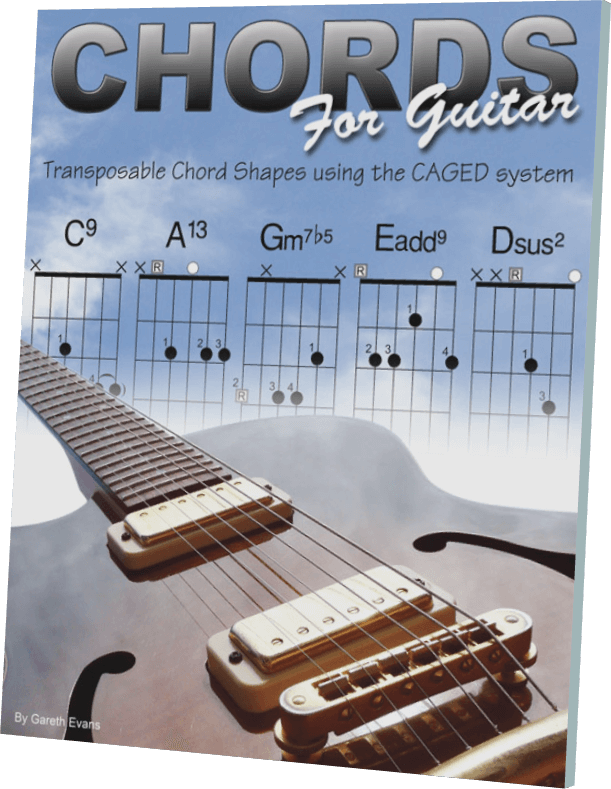 Over 200 movable chord shapes based on the CAGED system for over 60 chord types. 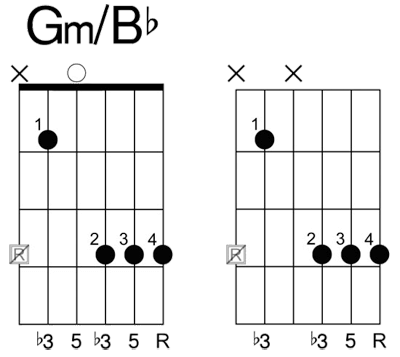 Introductory explanation of this process with examples on the Guitar Note Chart page. 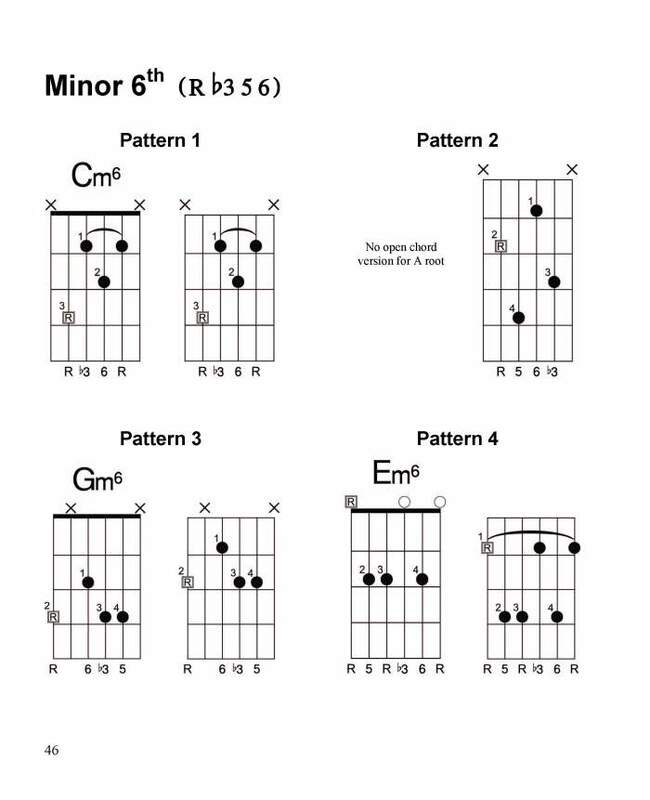 A question for each chord type to make sure you’re on track to being able to locate chords yourself. 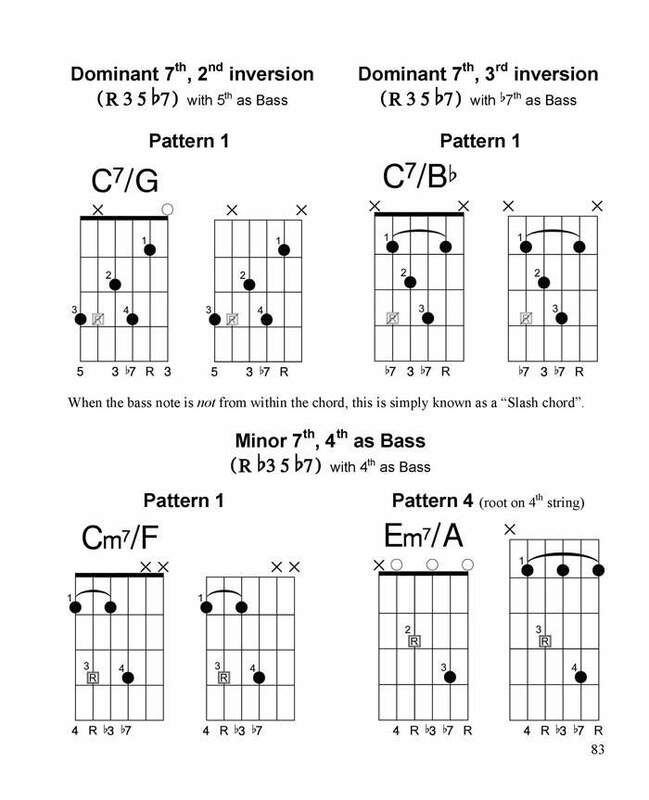 Find the root notes, apply the chord shapes and then check the answers at the back of the book. 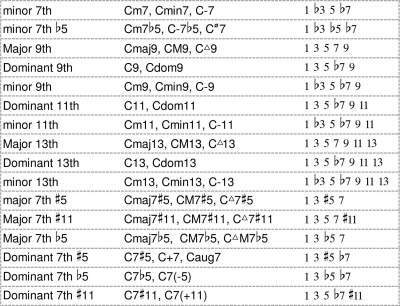 Root note location clearly indicated and other intervals marked out. 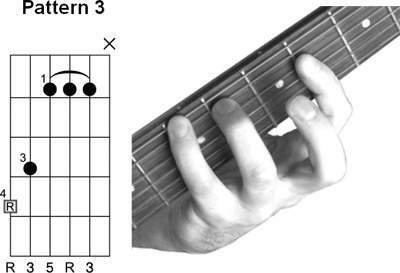 Numbers to guide which fingers to use. 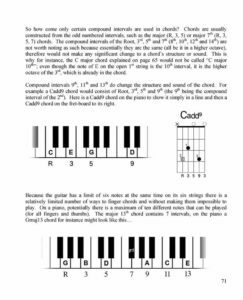 Relevant music theory explained using the relatively simple linear layout of the piano keys, then on the fretboard. 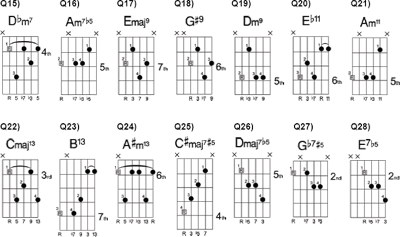 Basic chord construction, simple & compound intervals and diatonic & non-diatonic intervals. 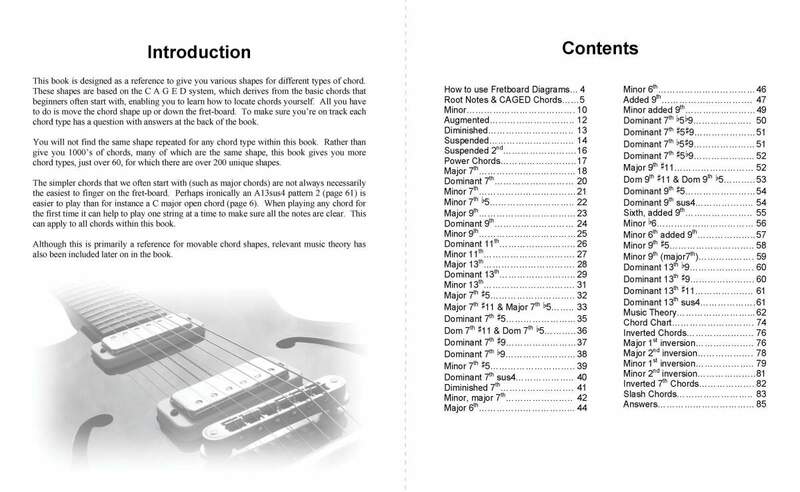 Towards the back of this guitar chord book is a chart for all chord types showing the various nomenclatures. 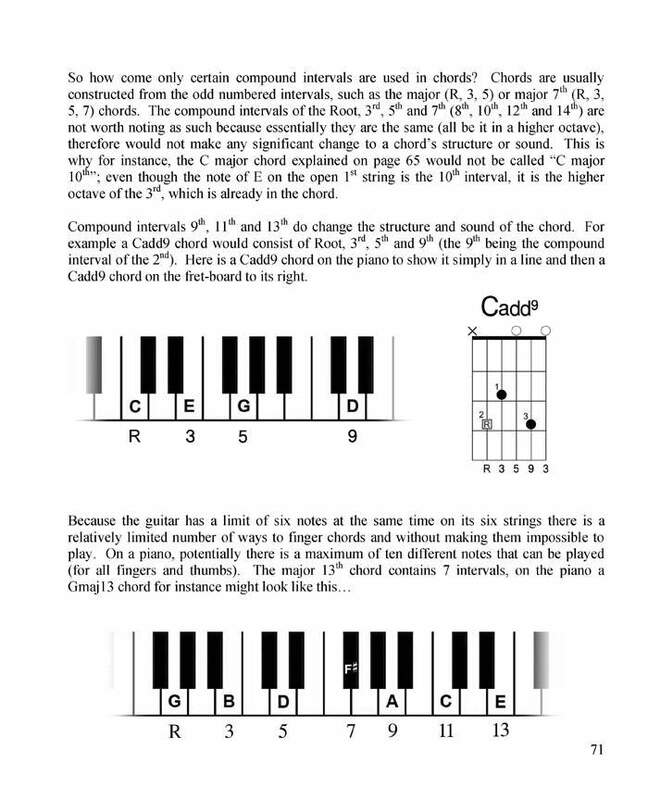 Explanation of inverted chords with chord diagrams including 1st, 2nd and 3rd inversions, and slash chords. 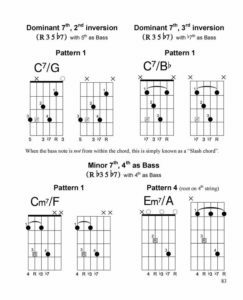 "This is an excellent reference and teaching book for those who are just beginning to learn barre chords, and it is also very good as a reference for those who are bored with typical chords and want to try different variations and pitches of the common CAGED chords. 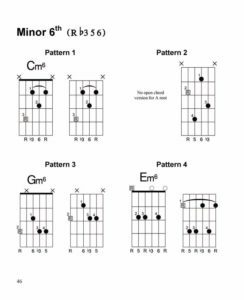 Add to this the option to read the paragraphs on the music theory behind the chords, and you find an excellent book for both new and more experienced guitarists looking to go further with their skills and with their knowledge too."